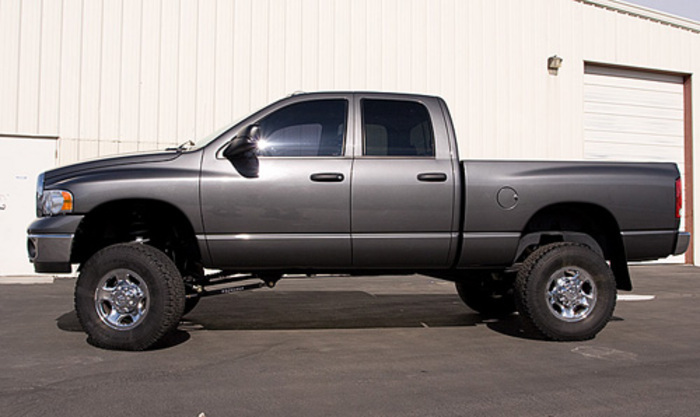 Want to lift your Dodge Ram and get the best possible ride and handling? 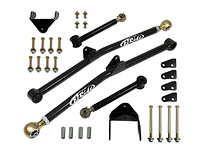 Want more suspension articulation? Tuff Country EZ-Ride Suspension's Dodge Ram "Long Arm" Lift Kits are your answer! 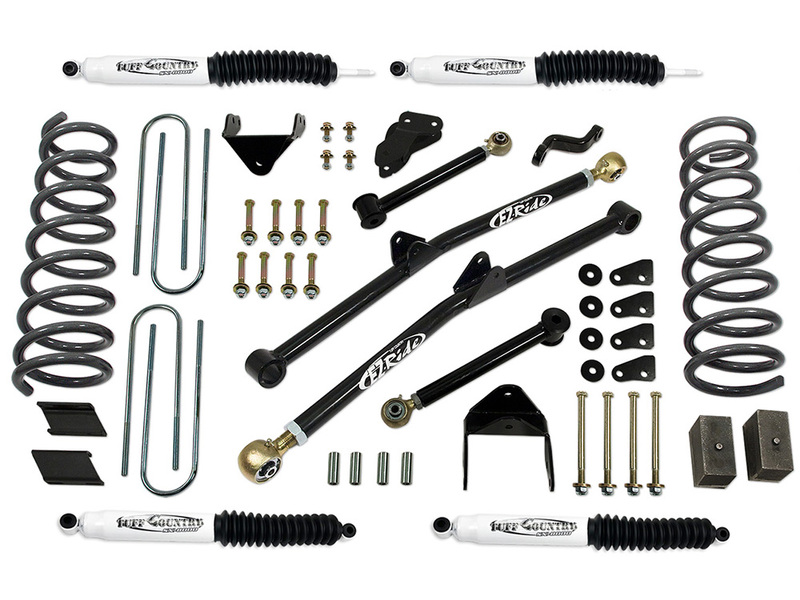 This lift kit is designed to lift your Dodge Ram 4.5" using the long arm suspension system and all the great benefits. 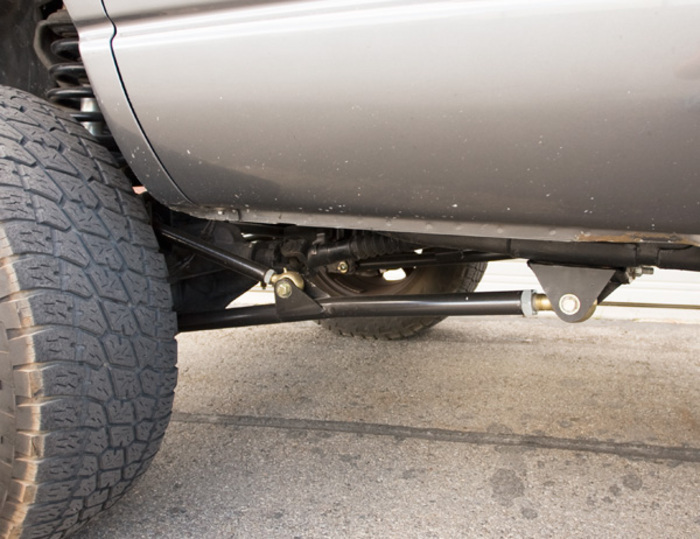 By replacing the factory control arms with the longer arms this creates less of an angle on the control arms which results in a much softer ride, dramatic handling improvements (reduces bump steer significantly) and better suspension articulation. 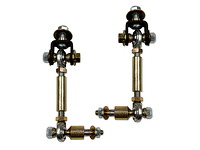 Both upper and lower arms use greasable, re-build able flex joints which will reduce or eliminate the front suspension from binding. 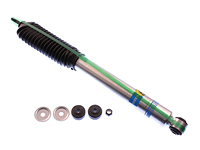 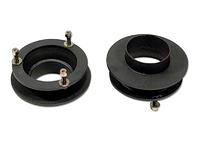 Replacement front coil springs lift the front of the Ram, cast iron blocks lift the rear. 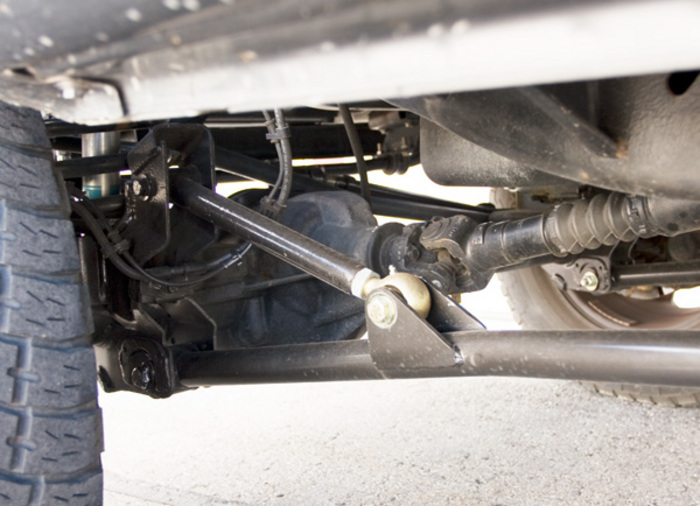 A track bar relocating bracket, drop pitman arm and front sway bar relocating brackets ensure everything is aligned properly. 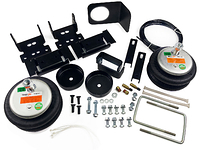 All this adds up to the ultimate Dodge Ram suspension lift kit. 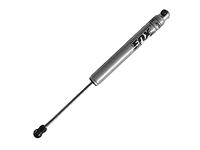 Includes Tuff Country SX8000 nitro gas shocks.